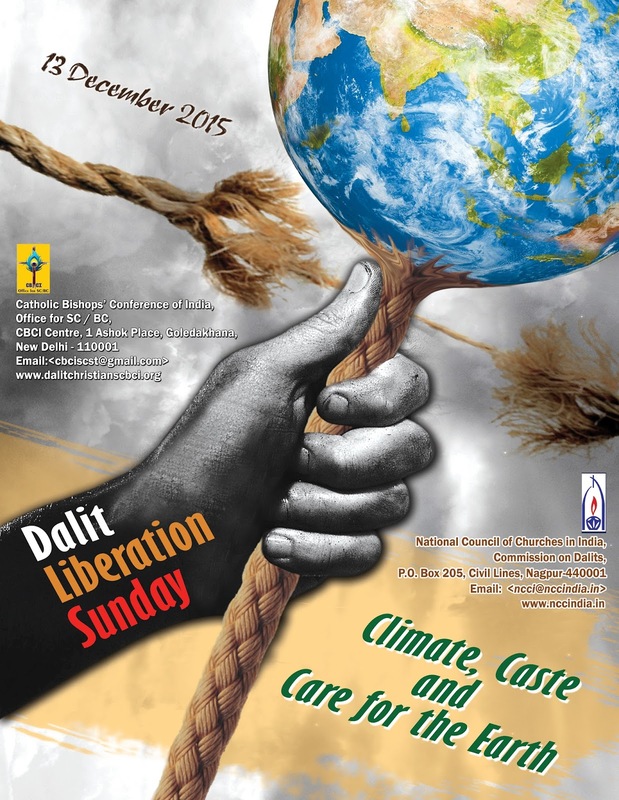 Observance of the NCCI Dalit Liberation Sunday is an annual and significant feature in the NCCI Calendar and we are back to you to remind that as every year we will be observing the Dalit Liberation Sunday with the theme "Climate, Caste, and Care for the Earth" on the 13th November 2015. We have come up with a suggested worship order which could be used wholly or in parts to make the worship more meaningful. Kindly find it in attached file. As it is the season of Advent, if your church calendar is filled, this Sunday may be observed in any other Sunday as well.